England: ‘SPANA’ – Helping Working Animals Where Their Owners Need Help. SPANA are based in London, England. I am proud to have supported them with a monthly donation for many years. Our donations help to improve the lives of working animals; in order that their owners can continue to use them for their work; but with the added bonus of the best veterinary care and welfare needs covered free of charge. They may seem simple, but SPANA donations provide free veterinary care for working animals; they provide new mouth bits to replace old and rusty ‘things’ that have been constructed from wire etc; they provide the construction and placement of drinking troughs for working animals along their main work routes, providing something as simple as water; but helping the animals to stay hydrated during their working day. Most importantly; they also provide education to children regarding animal welfare, and why it is so important to care for and respect animals. Our Fur Free Markets scheme is fully up and running, with our online database of every council in the UK going live. San Francisco bans the sale of real fur, becoming the largest US city to do so. The first markets officially join the Fur Free Markets scheme, as LSD Promotions, who run markets across the West Midlands, make their fur free pledge. Horrible footage of monster obese foxes kept on Finnish fur farms shocks compassionate people around the world. Respect for Animals supporters contact the Finnish Embassy to call for a fur farming ban in Finland. The top officials representing the fur industry give evidence to the EFRA Select Committee and shock the room by claiming it is ‘natural’ for foxes to be kept in small cages. Having smashed past 100,000 signatures the petition to Parliament secures a confirmed date for a Westminster debate on the banning of real fur. The lobbying of MPs by constituents and NGOs like Respect for Animals begins. With Burberry appointing a new creative director, Respect for Animals asks supporters to email Burberry customer service and call for the end of the use of real fur. MPs line up to slam the fur industry at the debate on fur in Westminster Hall. Respect for Animals Director Mark Glover travels to Belgrade to help save the fur farming ban in Serbia. The Environment, Food & Rural Affairs Select Committee publishes its report on the fur trade in the UK. The report calls for changes to the law regarding fur labelling and suggests the government ‘consider’ holding a consultation on banning the import of real fur after Brexit. Respect for Animals presents the Fur Free Markets scheme to councillors from around the UK at the annual Local Government Association Conference in Birmingham. In Ireland, the Solidarity Party announce they will introduce a Bill to ban fur farming in Ireland once the Dail returns. Harrowing footage from Lithuania is described by Respect for Animals founder Mark Glover as ‘the worst fur farm footage I have ever seen’. The cruelty of what we are fighting against is laid bare once again. Respect for Animals is present at Labour Party Conference as years of lobbying pays off when the party officially adopts a policy to phase in a ban on the import of real fur. A few months after our email campaign, Burberry stun the fashion world by announcing they are ditching real fur. Respect for Animals join animal protection organisations around the world in targeting Prada to be the next big name in fashion to stop using real fur. Los Angeles City Council votes unanimously to ban the sale of real fur. The Prohibition of Fur Farming In Ireland Bill is presented to the Dail in Dublin, by Solidarity TD Ruth Coppinger TD. Lincoln Christmas Market – one of the biggest seasonal events in the region- is confirmed as fur free. A poll of public opinion in Ireland, commissioned by Respect for Animals, finds that an impressive 80% of people in Ireland support a ban on fur farming. Mark Glover co-hosts a major event in Dublin, discussing the urgency of a fur farm ban with TDs and Senators, as well as holding a press conference. Legendary folk punk/rock band the Levellers say NO to fur, by backing our campaigns for fur free markets and the Ireland fur farming campaign. Manchester Christmas Market goes fur free after a public outcry. Chanel announce they are moving away from using real fur. Our Fur Free Markets database passes 400,000 hits for the calendar year. Today, we and our nine campaign partnersPDF are delighted to see the UK Government’s Ivory Bill receive Royal Assent to become law. In future, most ivory sales in, to and from the UK will be treated as criminal offences. 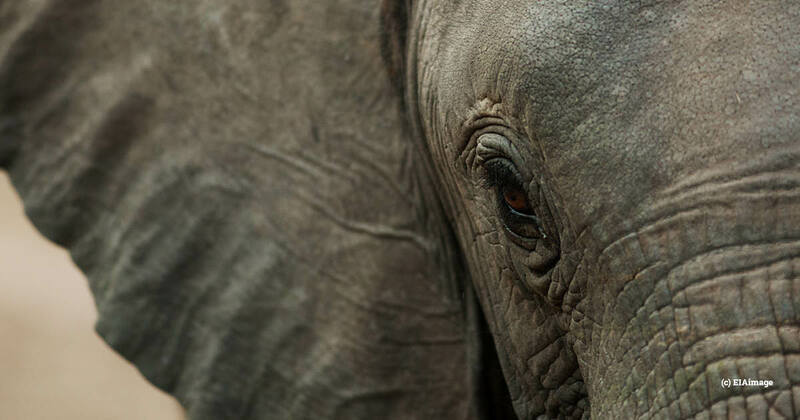 Mary Rice, our Executive Director, said: “Following on the heels of China’s closure of its own domestic ivory market at the start of the year, this is the best Christmas present the UK could have given the world’s threatened elephant populations in Africa and Asia. “The Ivory Bill becoming law is an important move which recognises the need to take firm action to protect elephant populations from poaching and ivory trafficking. WAV Comment – ‘Yes’ – Job Done !! !